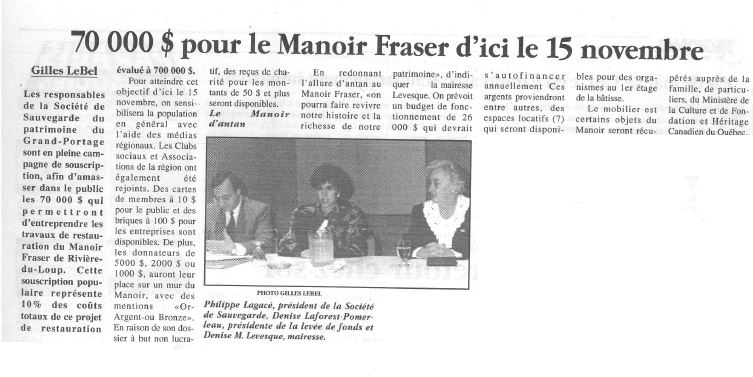 Newspaper article concerning the financing of the Manoir Fraser restoration project. Citizens, businesses, and associations are contributing to the funding campaign. More than $85,000 has been collected in the space of a few months, in donations or by the purchase of membership cards or manor bricks.